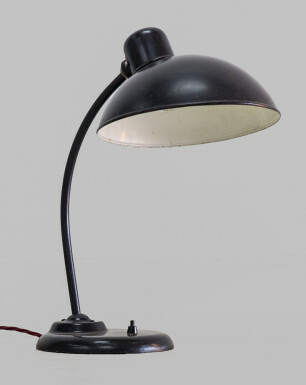 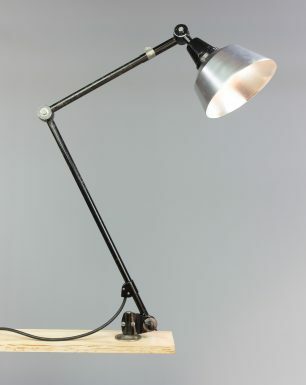 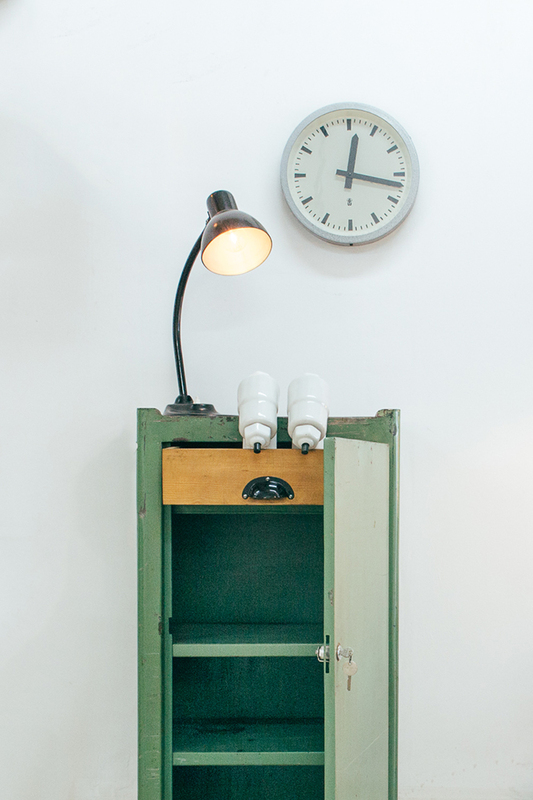 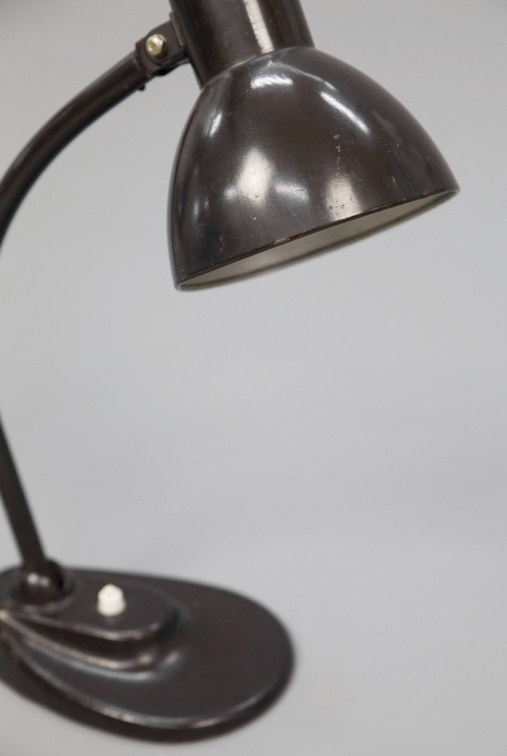 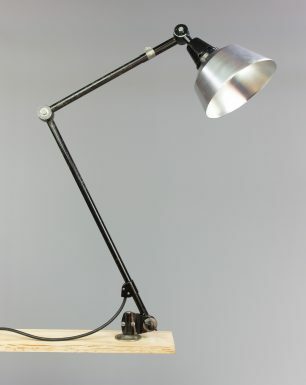 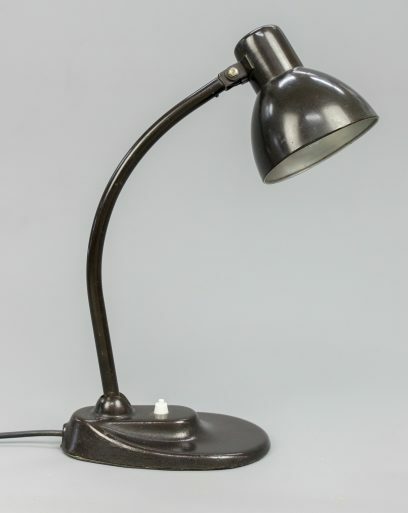 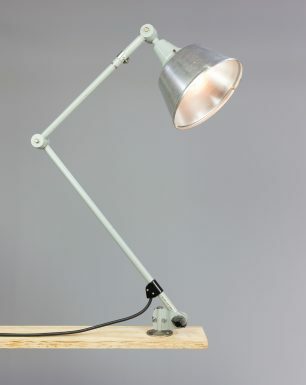 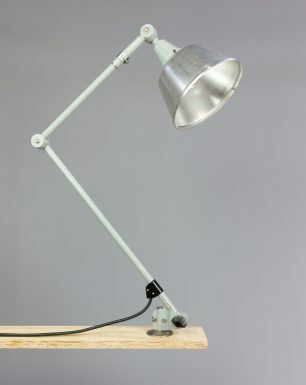 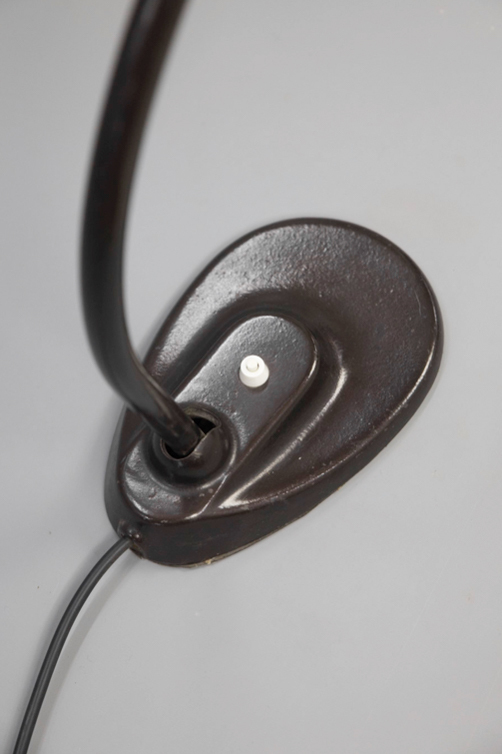 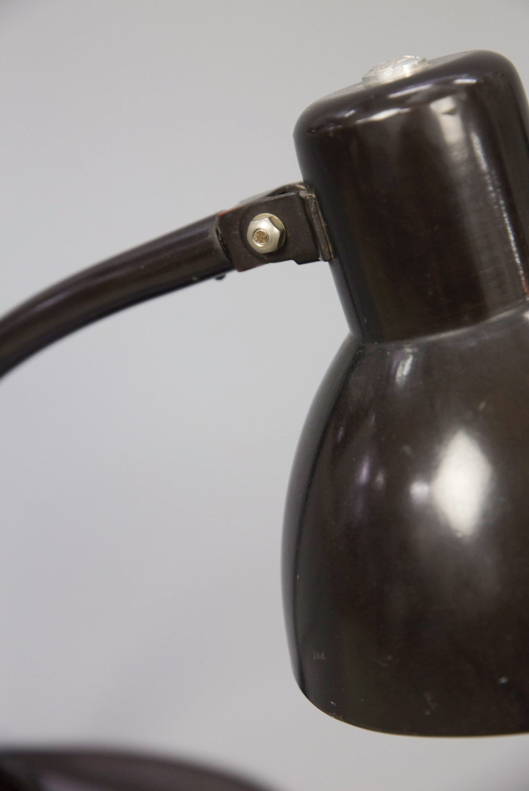 This rare desk lamp originates from before the second world war, and was produced by Körting & Mathiesen, better known as Kandem. 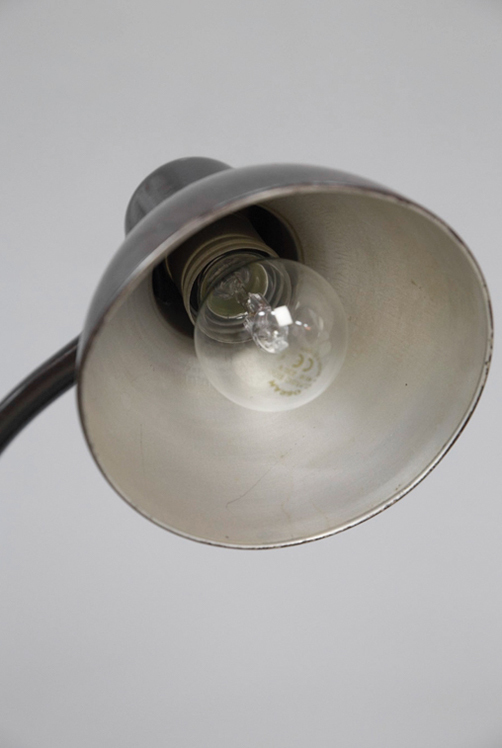 This famous German lighting manufacturer was producing lighting fixtures since 1889, and held a strong relationship with the Bauhaus during the 1930s. 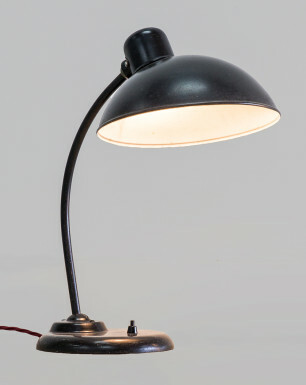 The lamp consists of a heavy metal base, and a large typical shade, that reminds of the famous desk lamp designed by Christian Dell. 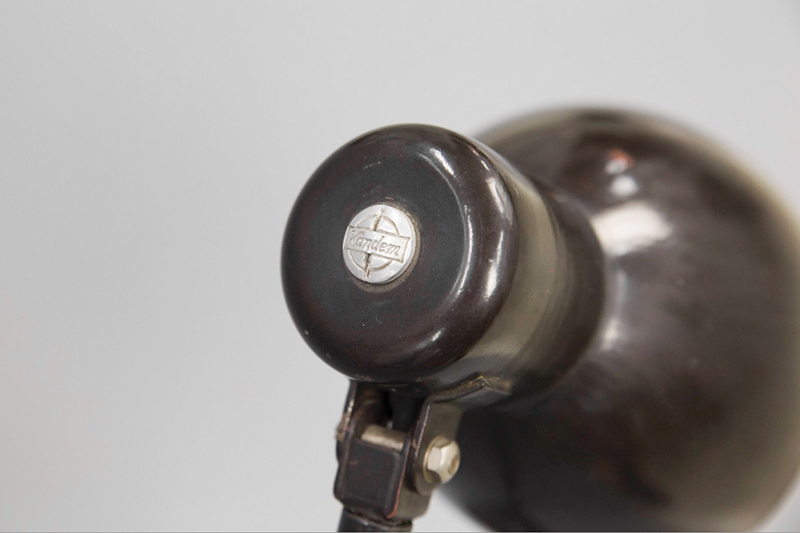 The Black Viper originates from a former spinning mill in eastern Germany, where it was found in one of the various offices that were spread out through this enormous complex. 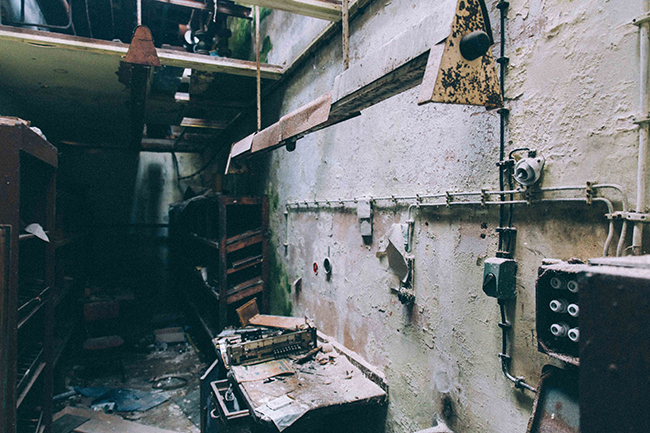 The textile factory had been operational for over 80 years under many different names. 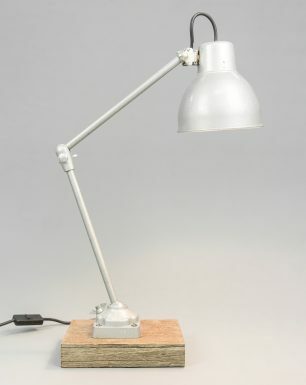 Eventually it had to close its doors due to the fall of the Berlin wall in 1989, and has been left deserted ever since.